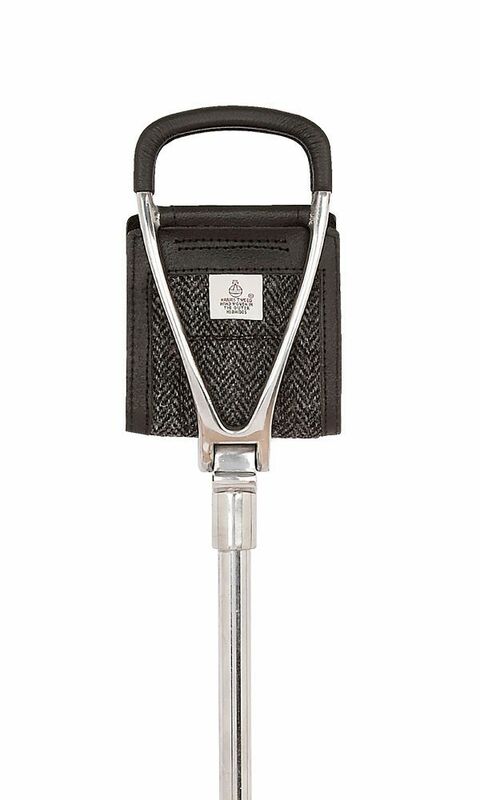 Black leather with grey Harris Tweed insert adjustable shooting seat stick. This shooting stick combines a leather seat and handles with a stainless steel frame. A popular choice for all outdoor sporting events. Height adjustable from 28" to 36" or 72cm to 92cm. Max weight load 20 stone.